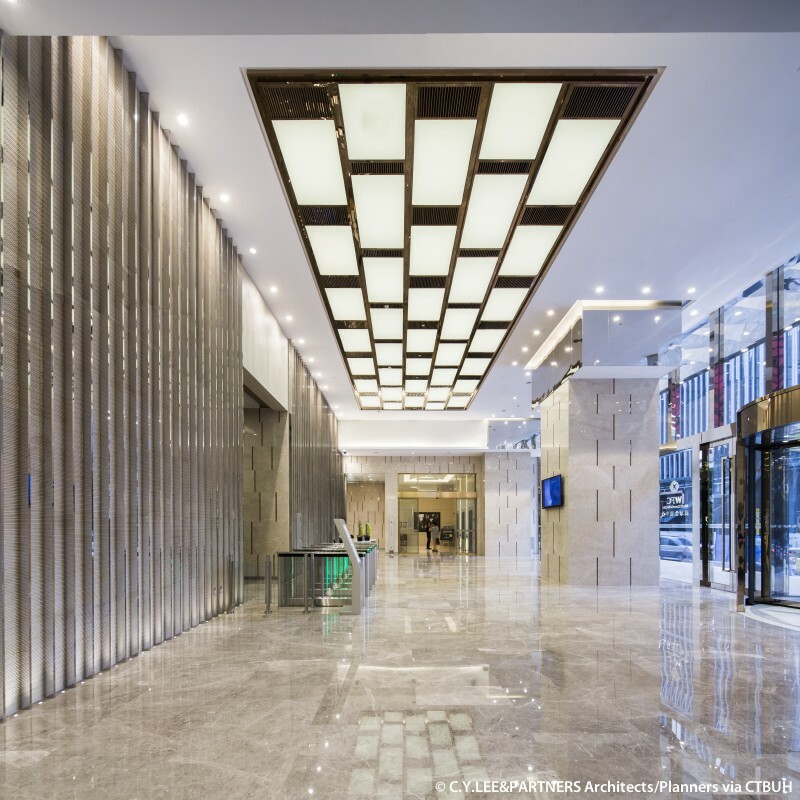 Owner/Developer	 Chongqing Worthy Land Co., Ltd.
Main Contractor China State Construction Fourth Engineering Division Corporation Ltd.
• Property Management	 Jones Lang LaSalle, Inc.
• Elevator	 Otis Elevator Company;	Schindler;	Sematic S.r.l. 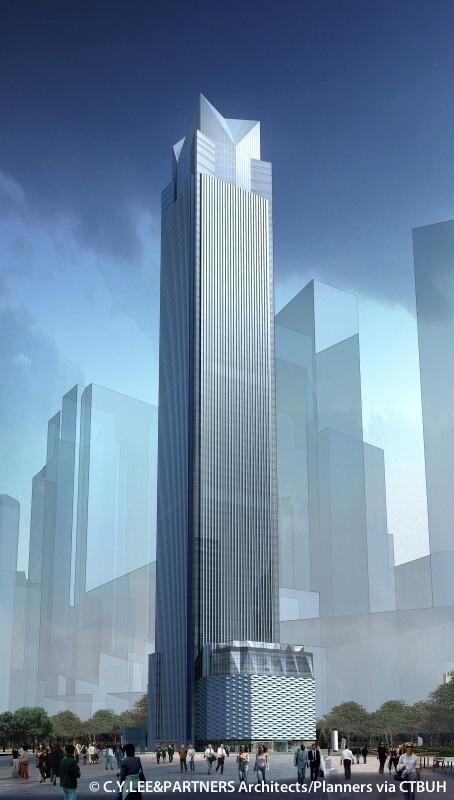 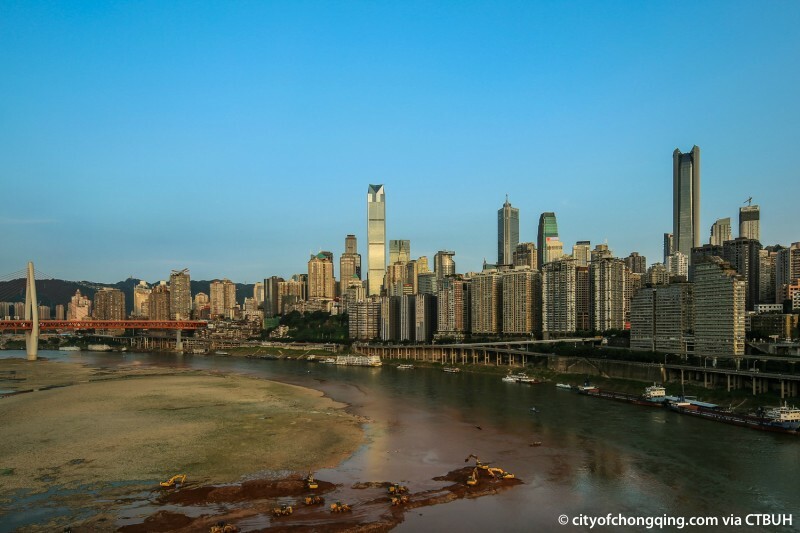 The Chongqing World Financial Center is located in the heart of the city’s Jiefangbei central business district near the Chongqing People’s Liberation Monument, a central plaza and city icon. 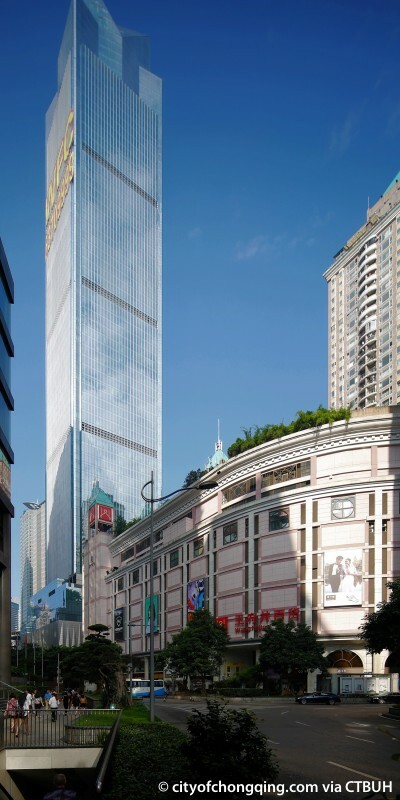 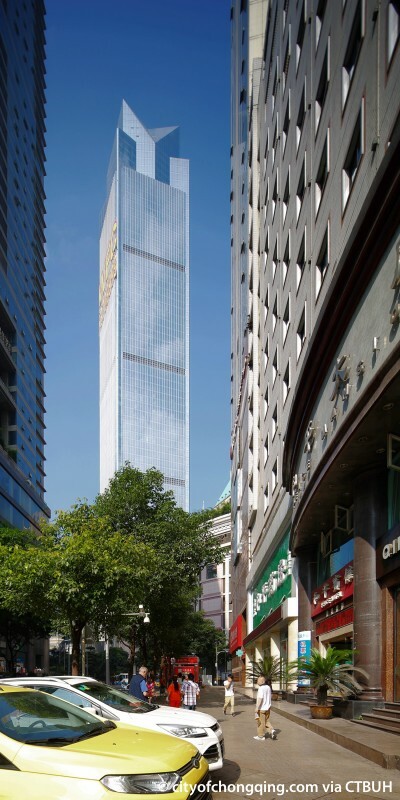 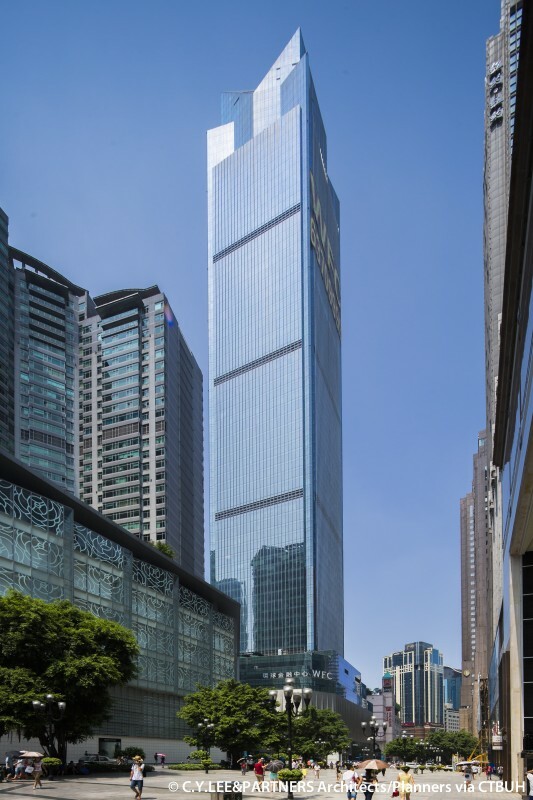 The mixed-use tower has office and residential spaces, a hotel, restaurants, commercial outlets, and entertainment venues, making it much like a standalone vertical city. 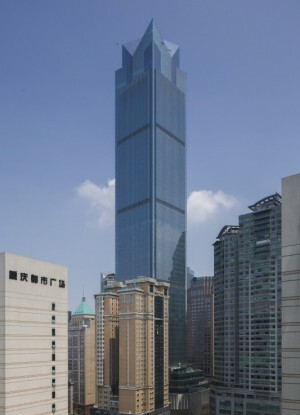 The building rests on a nine-story podium, which houses a hotel and high-end retail stores, and is connected to the nearby shopping center Diwang Plaza. 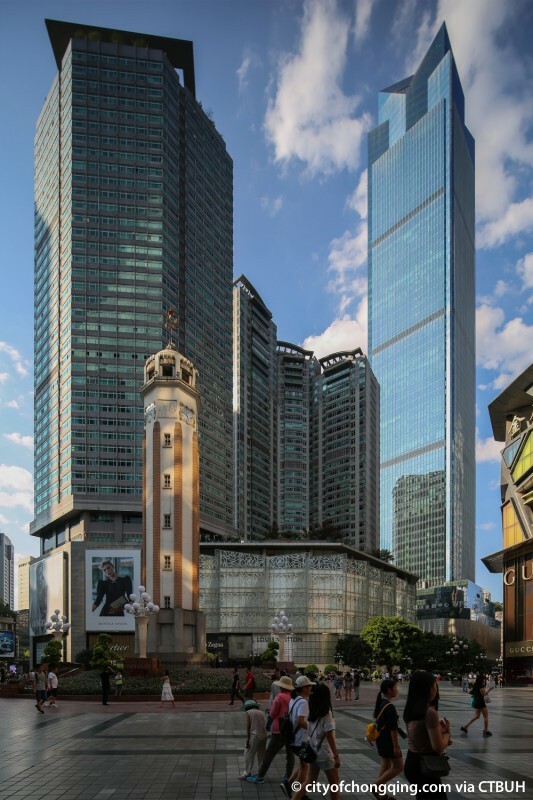 The podium was constructed to be the same height as Diwang Plaza’s largest department store, Wangfujing, and together the buildings form a semi-enclosed shopping area. 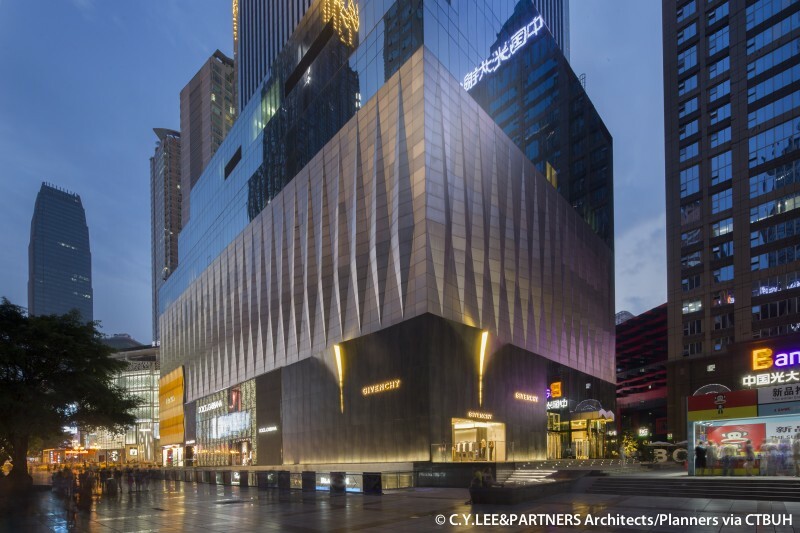 This unique luxury shopping center is intended to drive more foot traffic and boost commerce in the area. 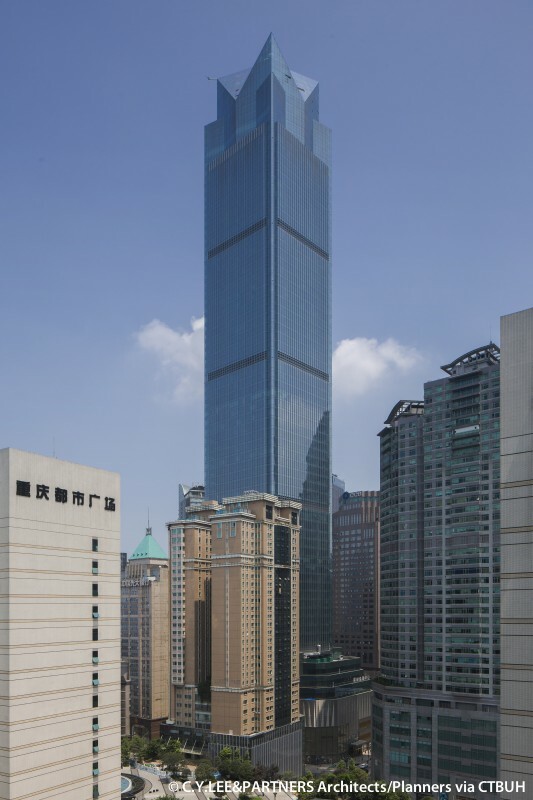 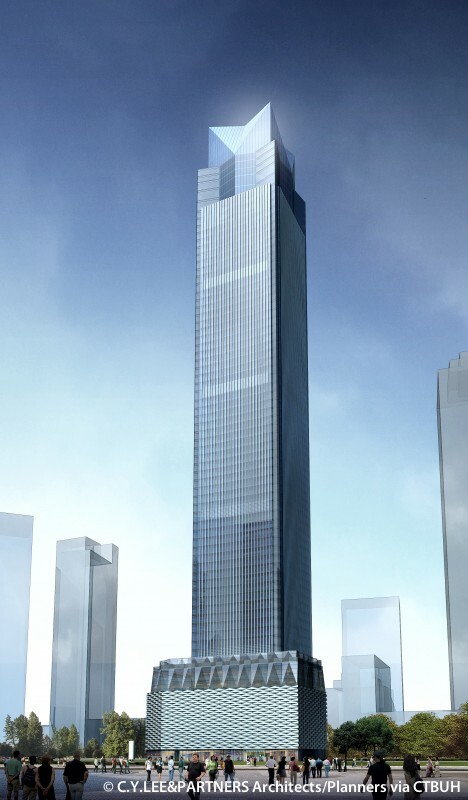 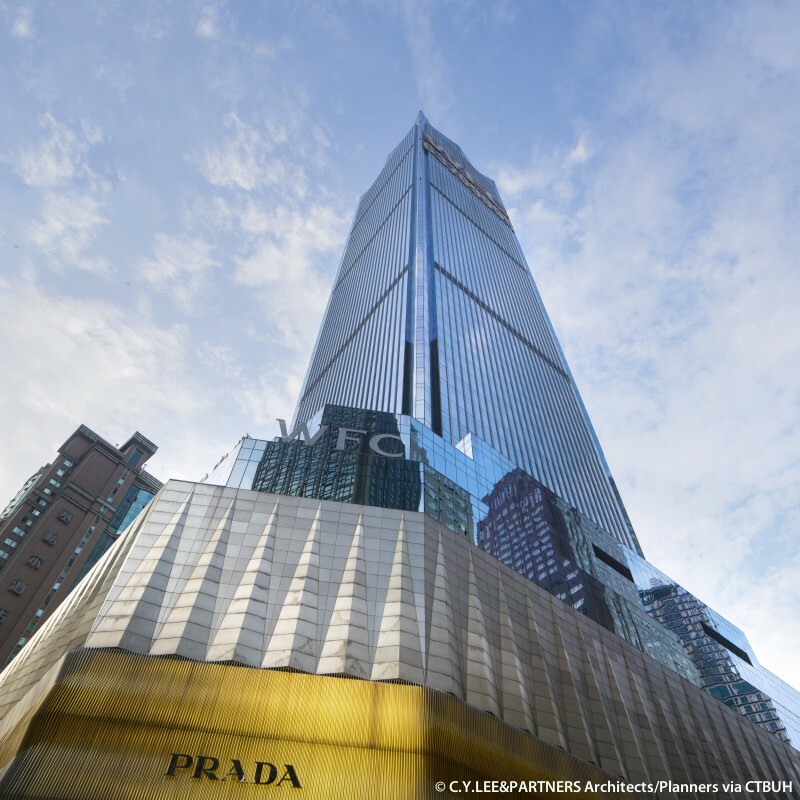 A sophisticated vertical transportation plan ensures occupants and visitors easy access to the multiple components of the tower so that the entire building can operate smoothly. 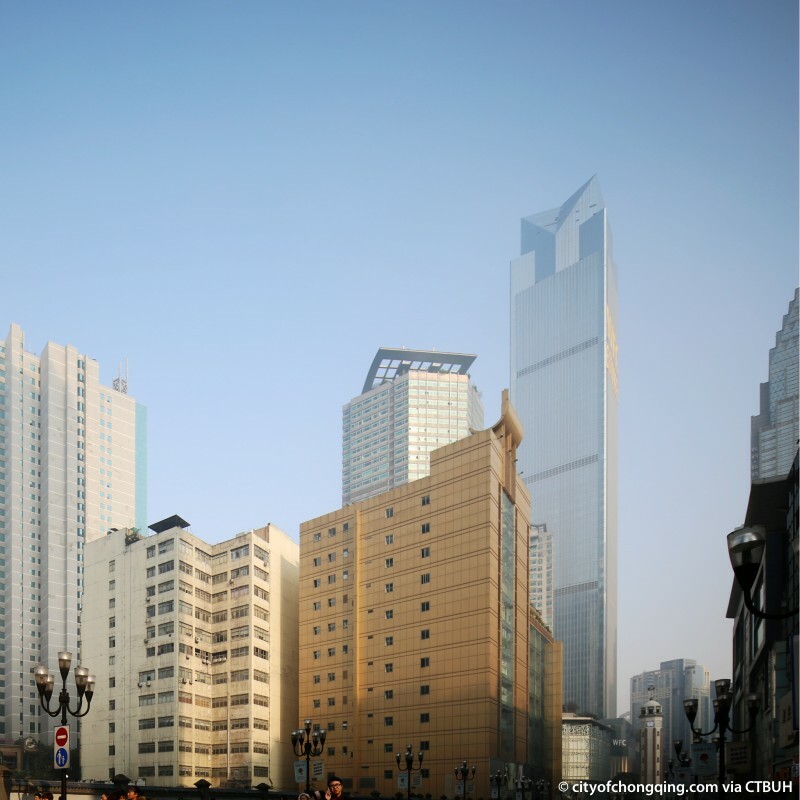 Located adjacent to the busy Jiefangbei Pedestrian Street, and with easy access to two metro lines, the building is well integrated into Chongqing’s dense urban composition. 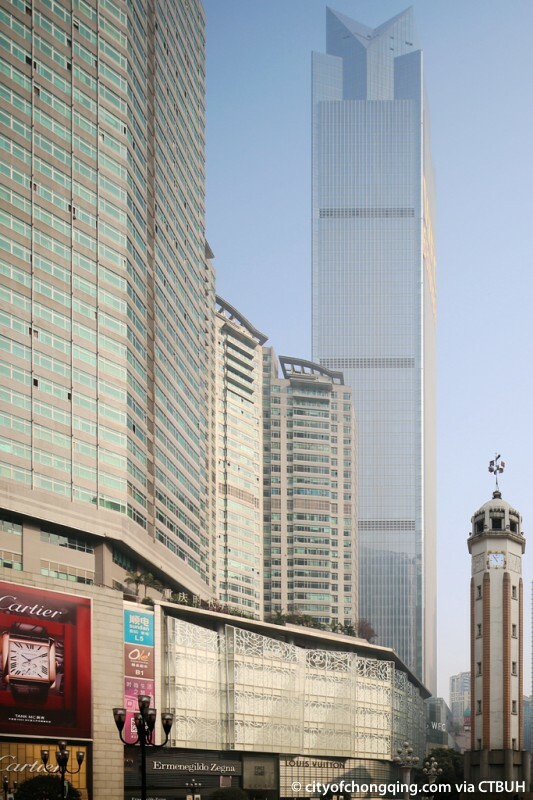 The tower’s simple and modern design contrasts with the surrounding built environment, incorporating a sleek, geometric arrangement infused with Eastern cultural elements. 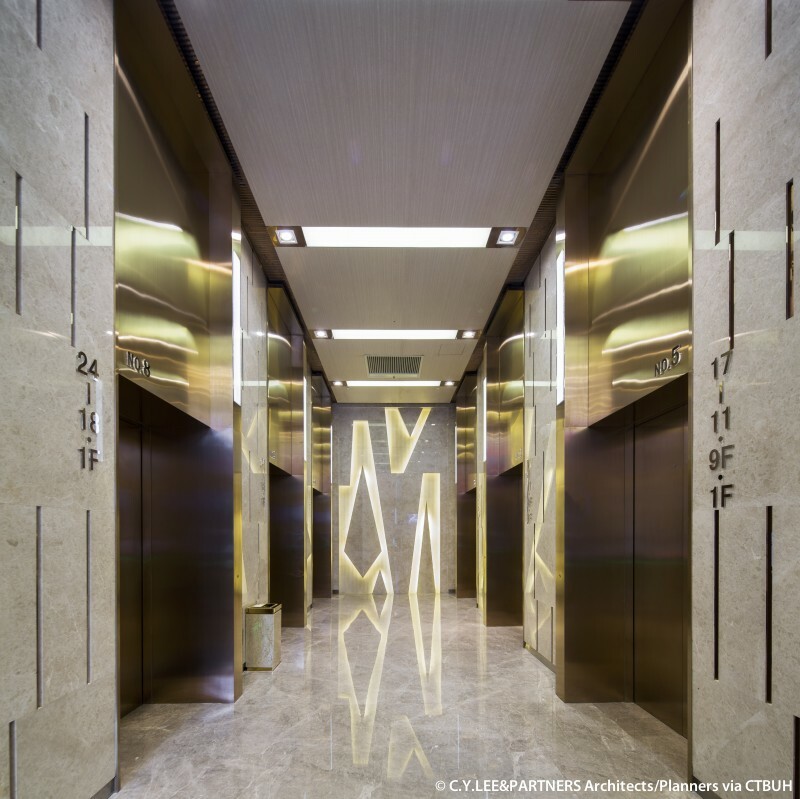 A series of openings on its mechanical floors separate the building into four distinct volumes of near equal proportion. 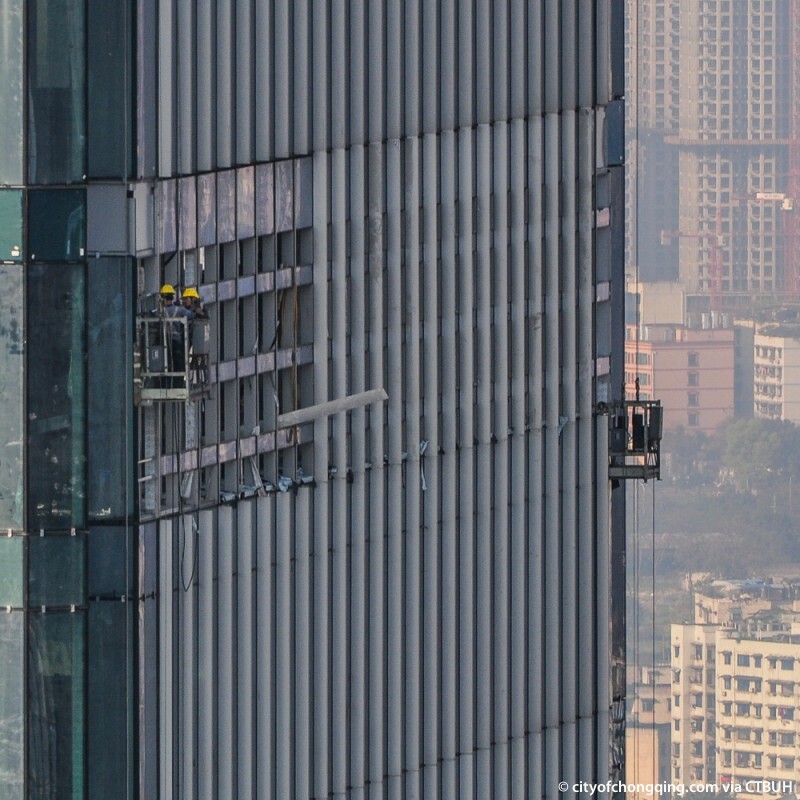 Meanwhile, vertical lines rise up along the sides of the building, terminating at the crown structure, which serves to downplay the imposing size of the structure. 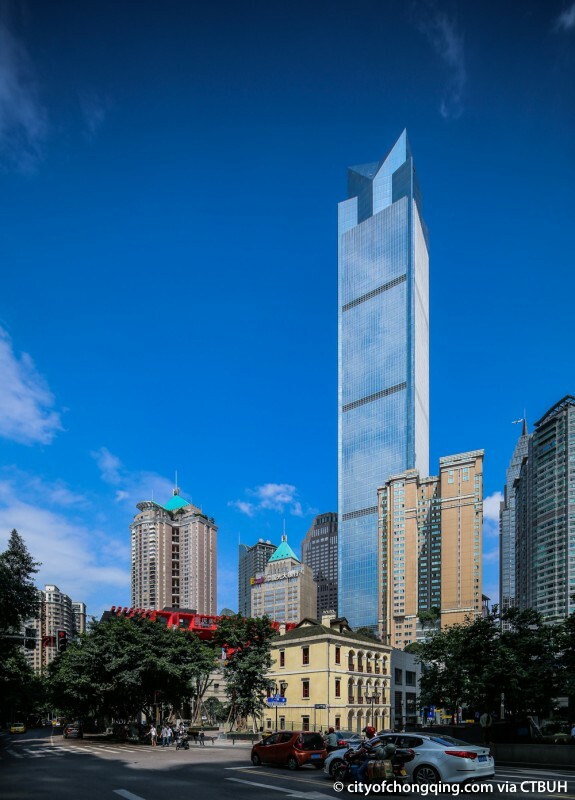 The crown features multi-fold refracting surfaces made of highly reflective glass that catches sunlight from all directions, the effect of which produces much-welcomed light in Chongqing’s foggy climate. 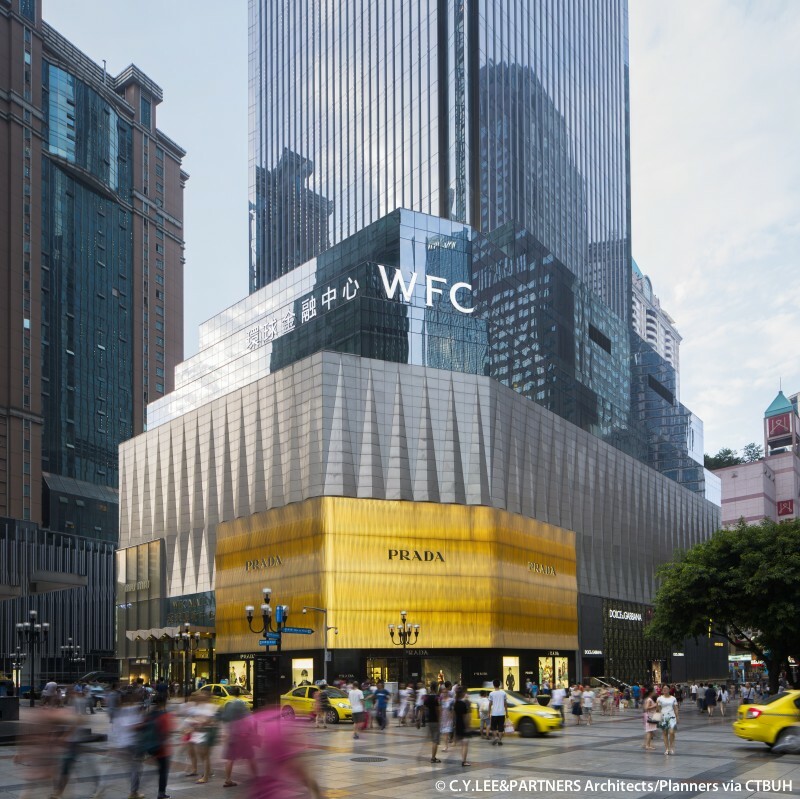 As a landmark for the city, Chongqing World Financial Center simultaneously emphasizes local culture and contemporary design concepts.